I wish my morning can start out like this everyday! Toast it in the oven till slightly golden brown on the top. That's it! Super good! Seriously! What a simple, lovely breakfast! What made you think to put these ingredients together? 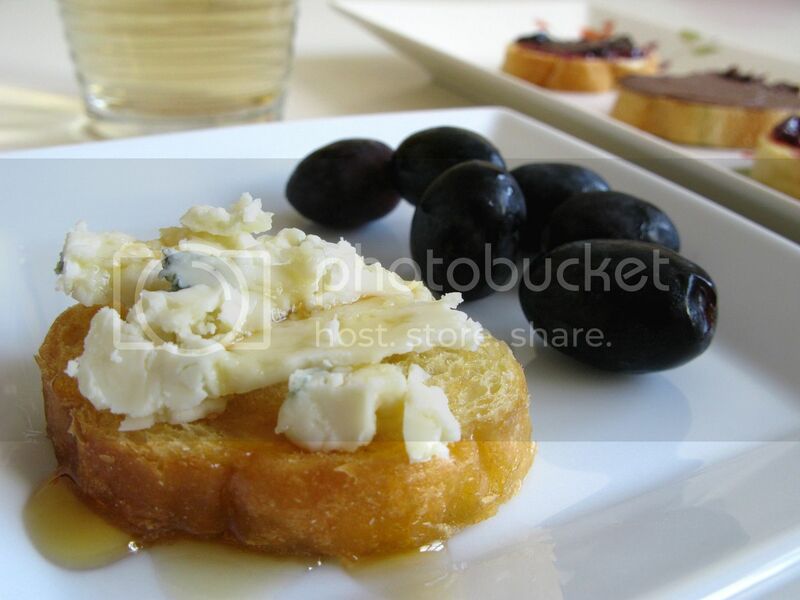 I was looking at the cheese book, found out that gorgonzola and honey goes well together, and here it is~cheese with baguette!!! That does look like a really simply and delicious breakfast. I'll be sure to try that one out. Thanks, and nice blog! Thank you so much! I can assure you it's very delicious, I love it!